Edmonton’s Grindstone Theatre brings together Canada’s very best comedic talent for a 5 nights of stand-up, improv, and sketch comedy in the first annual Grindstone Theatre Comedy Festival! The fringe hit returns with all new, completely true, stories and tales from the great state of Florida. 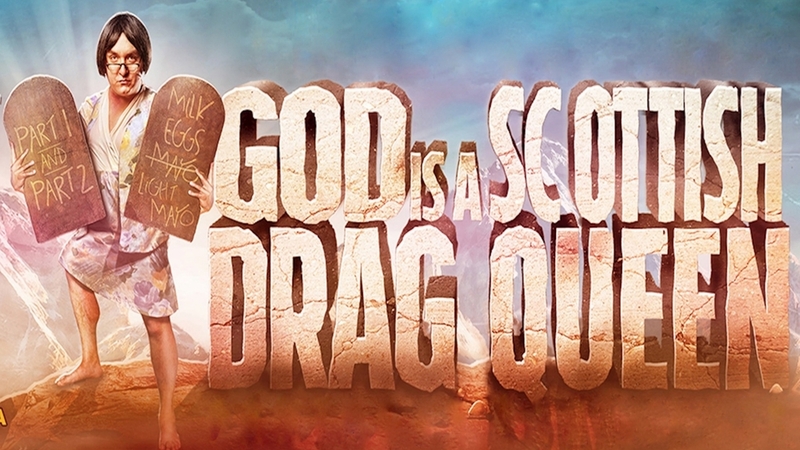 Hosted by fringe favourite Mike Delamont (God Is A Scottish Drag Queen) and Morgan Cranny (Vasily Djokavich), and featuring some of the best performers at the fest! God, in an all new power suit, comes down to skewer everything from pop culture to religion in an all new and hilarious hour of comedy that you will never forget! Critically acclaimed comedian Mike Delamont takes on everything from marriage to skydiving in a hilarious night of stand up comedy. 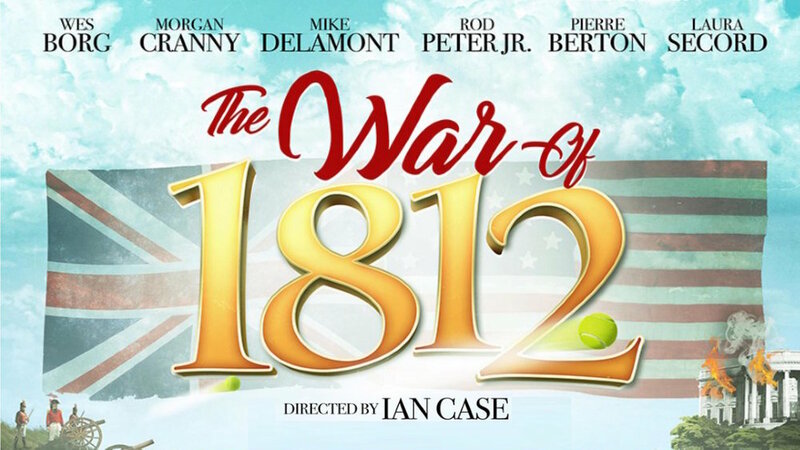 This is an intimate and hilarious one man show about marriage, family, and growing up bigger than average. Mike Delamont has appeared at the Upright Citizens Brigade in New York, the world famous Comedy Store in Los Angeles and was a finalist on SiriusXM’s Top Comic. Before there was God Is A Scottish Drag Queen there was Jimmy Peekaboo, Carlo Rossi, and Jürgen Müller. 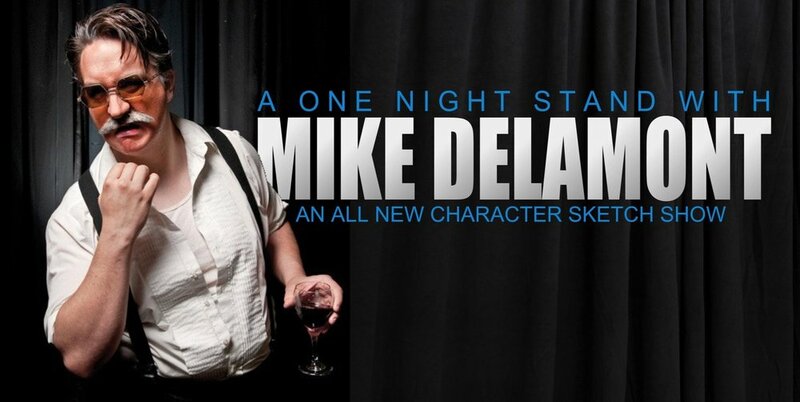 Join Mike Delamont for a night of Characters and sketch comedy that has never been seen at the Edmonton Fringe! From 20 time 'Best Of The Fest' winning performer Mike Delamont and Dirk Van Stralen, the critically acclaimed director of Jakes Gift, comes a true story of addiction, music, and love in an unforgettable, heartbreaking and personal performance. 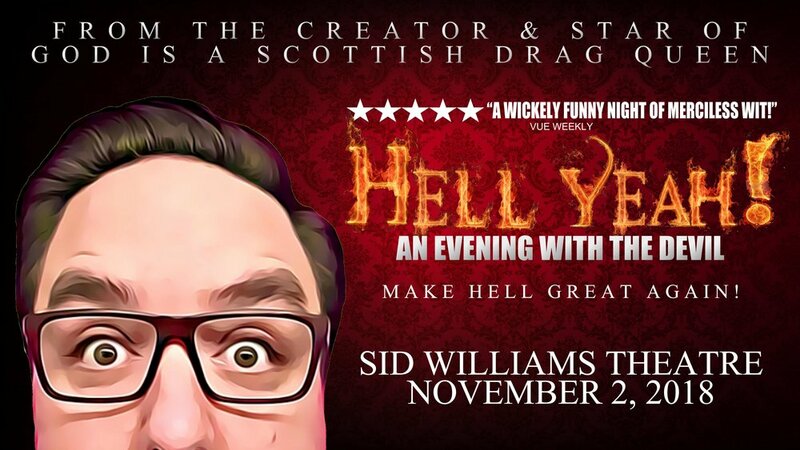 From the Creator & Star of God Is A Scottish Drag Queen comes everyones favourite bad boy, The Devil. Audiences have enjoyed their time with God for a decade and now its time to finally hear the other side of the story! The Devil comes up to set the record straight on everything from marshmallows to leviticus in an unforgettable night of comedy. Lets make hell great again! Critically acclaimed comedian Mike Delamont comes to New Westminster for the first time! Mike has appeared on CBC's The Debaters, Laugh Out Loud, SiriusXM's Top Comic, Halifax Comedy Festival, Just For Laughs, and most recently at the world famous Comedy Store in Los Angeles. The critically acclaimed and sold out hit from the 2018 Edmonton Fringe Festival returns for ONE NIGHT ONLY! 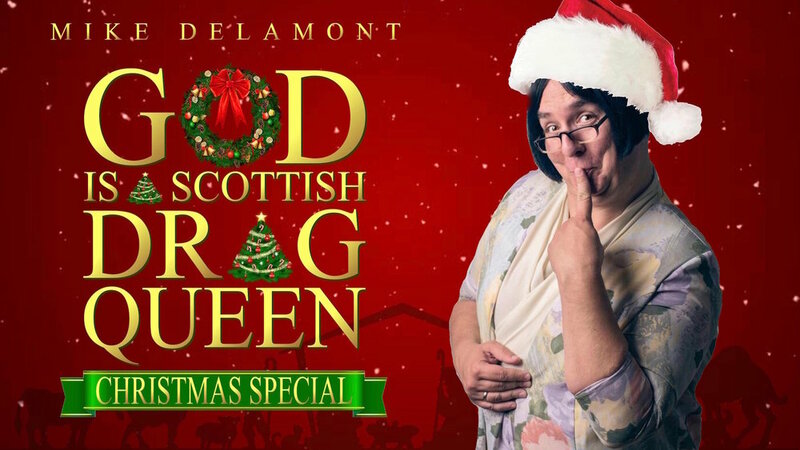 From Mike & Chantelle Delamont, the award winning writers that gave birth to God Is A Scottish Drag Queen comes an all new show about what to expect when you're NOT expecting!